I make a point to watch one TED talk per week and last night it was Tom Chatfield’s – 7 ways games reward our brain which served as an inspiration for this post. It’s really fascinating if we get to thinking, what really motivates people to spend staggering amounts of time (and money) playing games in search of imaginary treasures in virtual worlds. 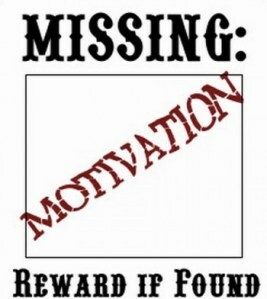 The surprising thing is that there is almost no extrinsic motivation at all. On the other hand, many organizations fail to effectively harness employees motivation despite both intrinsic and extrinsic motivational elements in check. Why? This post may be frustrating because it won’t give you a silver bullet solution to fix motivational issues or immediately start boosting employees’ motivation. But here I’m challenging you to see the big picture, not the quick fix. Let’s dive in. Create "windows of enhanced attention"
We will not go into details on these seven ideas from Chatfield (you can still read it here) as many workplaces are already full of these gamification techniques. Think of badges awarded for learning new skills instead of a visible pat on the back or think of sales leaderboards of the past dangling in the wall now always being accessible via an online engagement dashboard like Salesforce.com. But there’s this one key element of human motivation that games addresses so well, which unfortunately is clearly seen missing in game mechanics themes applied at workplaces. When I say “personalized learning experience” I do not mean that every other fun game you play (think Angry Birds) addresses this element of human motivation. It’s only those games that both psychologically and biologically capture human attention and go beyond to engage your very soul. I experience it when I was playing Frontline Commando (I'm a fan of super-heroes and war movies - so maybe I am biased). But if you haven't played that game, then think about World of Warcraft. You see, the activity/level you complete in these games aren't as important as the form of interaction that you have with the activity. What’s important is perfecting your [stealth] moves, cowering and choosing the right spot to avoid getting killed by enemy’s heavy artillery fire, selecting the right firearms, perfecting your aim (head-shots) – is so much in itself that completing the level almost becomes an afterthought. As all of these preceding moments become very honed, the only possible outcome is level completion. But that’s not all. These types of games are so customized with “windows of enhanced attention” (as Chatfield calls them) - that they respond very fast to every minuscule activity completed by doling out rewards that are interesting enough to keep increasing the level of dopamine transmitted to the gamer's brain. And that to me is a personalized learning experience. The truth is what really motivates and engages people in the workplace has always been far more complicated than engaging people to play games in virtual world. Perhaps because some organizations overlook the "fun first" element of games while others struggle to complement intrinsic rewards with extrinsic - which Mark covered in his post - Motivation is Complex. In the midst of all these, it has always been true and important to me that the best way to "hitting our goals" is not to just focus on the goals themselves. But to dedicate ourselves to our craft with such intensity and focus that the outcome takes care of itself. Or as we say, it is about the journey and not the destination. Too often leaders/managers/organizations get fixated on the anticipated outcome that they often overlook what really matters to their employees: a personalized learning experience.